Happy New Year! We're excited to see what 2018 has in store for Lingraphica and our friends. But before we look ahead to the new year, let's take a look back at 2017. 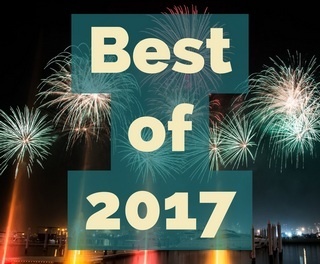 We've put together a list of the top five most popular blog posts from the year, based on total views and clicks. Keep reading to see which posts made the list! Last year was a record-breaker for Lingraphica in terms of blog posts. We published a total of 124 blog entries to our website and out of those 124 posts, five were clear favorites for our readers. Below are brief summaries of each blog along with a link to read each entry in full. Want to know when a new blog gets published? Subscribe to our blog to receive notifications when new posts are published. We look forward to creating new content for 2018 so stay tuned! Two years ago, Rosanne Knapp had a stroke at age 64. With the help of a device from Lingraphica, a loving husband, and a determined speech-language pathologist, she's learning to communicate again. Here is her story.